I know, if you don't live in Kernan Forest, you don't think this matters to you. 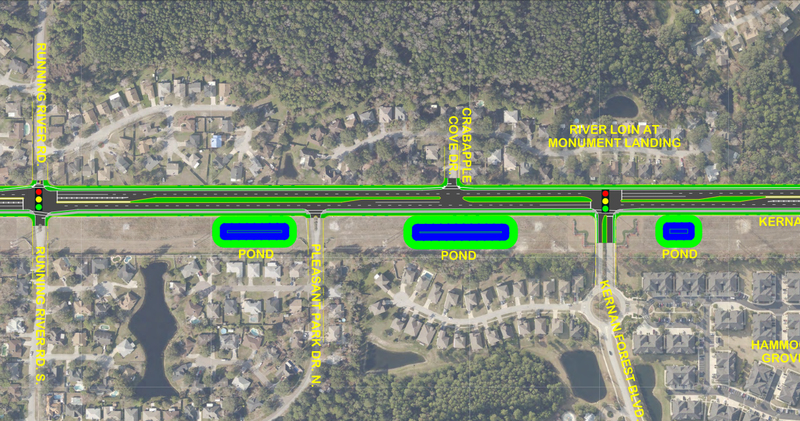 However, 16,000 vehicles use Kernan just south of McCormick each day, so the addition of three traffic lights might affect your travel times. The non-addition of these traffic lights might also affect safety for many travelers. And it's three traffic lights planned, not just the one. It also matters because the plans seem to indicate the signals are going in, along with a 12' bike and walk path that had to be fought for. My concern would be that if the lights aren't really being added, then what about the walking path (original 2003 plans seem to say it'll be a 5' sidewalk only)? Or the ponds? What I mean is that plans are developed and altered for a reason, and if contractors or politicians just change these plans at meetings without adjusting the online documents, then what assurance do we have that the new plans are any good? One of the HOA guys said that he was told a traffic signal at Kernan Forest was deemed too close to McCormick. Fine, that might be the case, though I am sure plenty of traffic lights are this close to one another. 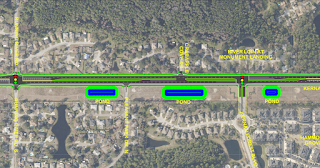 Anyhow, I hope JTA figures out the plan before construction (finally) begins, though it looks like the road will be a mess well after yet another subdivision gets built. What if Kernan and McCormick could be some kind of no-stop intersection?